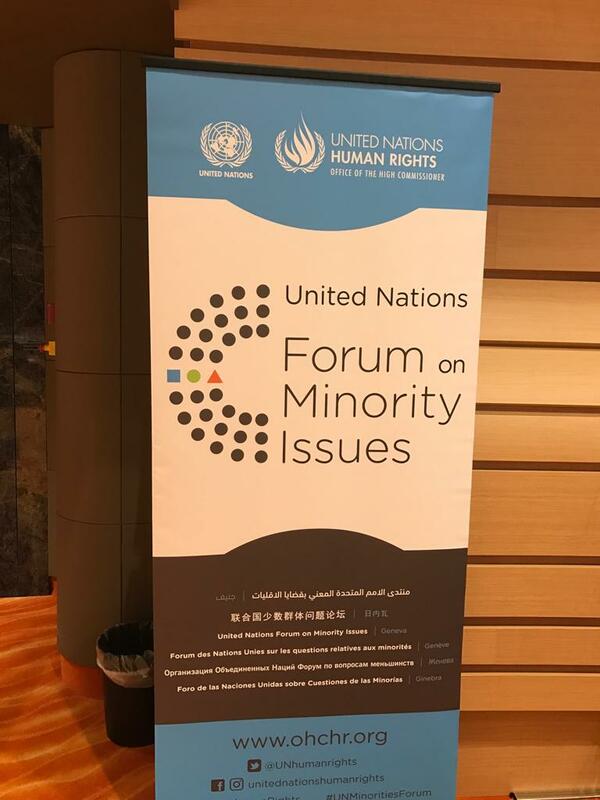 On November 2018 at the ‘United Nations Forum on Minority Issues’, Dr. Liviu Olteanu, the Secretary General of the AIDLR took the floor and talked on concern issue of freedom of religion law which is proposed by the Bulgarian Parliament. Under title “Not being respected dignity and rights of religious minorities, they can feel in own country as stateless people”, Secretary General of the AIDLR starting his speech by congratulating the U.N. at its 70th Anniversary of UDHR for what is doing in favor of human rights, peace and minorities. He continued: I’m honored to represent the AIDLR at the UN; my organization was founded in 1946 by Dr. Jean Nussbaum and receiving the special support of Eleanor Roosevelt, the first president of the Honorary Committee of the AIDLR. Excellencies, we don’t defend a religion, but we defend the PRINCIPLE of freedom of religion or belief for all people. We live in times with insecurity and crisis. According to Antonio Guterres UN Secretary General “around the world we see how religion is being manipulated to justify incitement to violence”. Adama Dieng, Under-Secretary-General, Special Adviser of the UN Secretary-General on Genocide Prevention stresses too: “religious minorities, migrants and refugees are often used by parties by fueling divisions”. Recent years we have witnessed the spread of violent extremism, which misuses religion to justify discrimination against religious minorities, or creating laws based on national security’; sometimes, and in some countries, the laws are used as pretext against religious minorities as Muslims, Jews, Christians, by not respecting dignity and their rights. In this time, Bulgarian Parliament prepares a law on religious freedom - and if it would be voted - can affect seriously the religious minorities as: Evangelicals, Baptists, Seventh-day Adventists, Pentecostals, Catholics, Jews, Muslims and others. 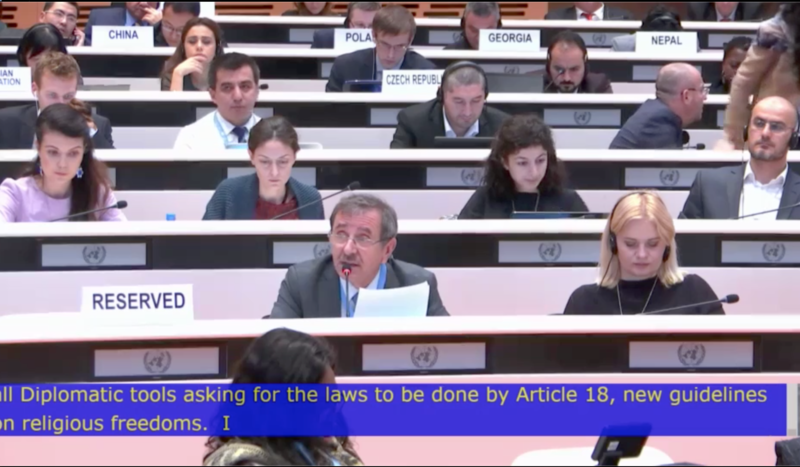 The Secretary General of the AIDLR requested on November 2018 the UN Special Rapporteur on Minority Issues, the European Union and European countries to use their diplomatic tools asking urgently Bulgaria to adequate the religious freedom law, according the UDHR art 18, ICCPR art 18, EU’ Guidelines on religious freedom and other relevant international and regional documents. Also Bulgarian Parliament was asked to listen the voices of religious minorities and correcting the draft law and giving up to all proposed restrictions on religious freedom. On this very concerned law of Bulgarian Parliament, Dr. Olteanu continued to be in touch with European diplomats and politicians, religious leaders of Bulgaria - belonging to Evangelical Alliance, Seventh-day Adventist Church, other churches – also he sent letters to Tsveta KARAYANEVA - the President of Bulgarian Parliament, Krasimir VELCHEV - the President of Commission of Human Rights and Religions from Parliament, and Boiko BORISOV, the Prime Minister of Government of Bulgaria. In the letters sent to the Bulgarian actors regarding “the Law on Amending and Supplementing the Religious Confessions Law”, Liviu Olteanu underlined: “Defense of justice – focusing on human rights, peace and security - is a challenge today and one of the great difficulties resides in reconciling cultural identity and respect for differences in a society where religions, beliefs and cultures coexist. Being a person is what gives humans a peculiar dignity, under which they cannot be exchanged for a price. People differ from each other by political community to which they agree to belong, religious affiliation, cultural background and by countless dimensions, that together build up a whole personal being. And multiculturalism requires teaching how to live with differences, respecting and protecting by laws, the Other’s conscience and beliefs. But unfortunately today, fundamental freedoms in some parts of the world, have been degraded to benefit arbitrary ideologies and populism. 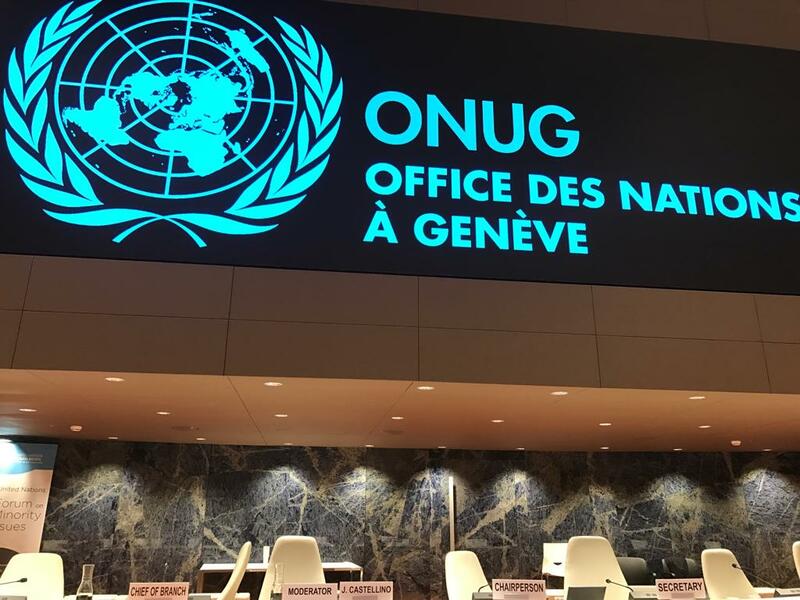 The AIDLR which monitors worldwide legislation on religious liberty and also speaking up on behalf of the discriminated and persecuted, hopes and desires that Bulgaria to be an international example of good practice by its legislation on religious freedom. For it we are looking with special attention to the Religious Confessions Law, and we are concerned on the current form of this Law versus international laws/articles of human rights/ religious freedom, democracy, and rule of law of the modern countries, towards Bulgaria decided to follow. Even have been changes after the first reading of law into the Parliament, unfortunately many amendments of the Law still affect freedom of religion and conscience, freedom of expression and freedom of assembly of people and discriminate religious minorities. We are concerned too because the concept of national security which started to be used by some States as a political multipurpose tool, capable of being adapted to the needs of ‘any’ state and based on the political will to fight against extremism and terrorism, unfortunately creates suspicion of religion and limits concretely religious minorities and fundamental freedoms of believers; we can see how the threat based on so called ‘national security’ many times can be used as a limiter for fundamental freedoms, and some of these freedoms being indicated above. We really want and hope do not be this case regarding Bulgaria. We desire that Bulgaria to become very soon a Schengen member for the benefit of your country with wise people. Finally, we ask to adequate the Religious Confessions Law according the UDHR art. 18-20, the ICCPR art 18 -19, 21- 22 and 27, the UN Declaration on the Elimination of all Forms of Intolerance and Discrimination Based on Religion or Belief from 1981 art 1- 6, European Convention art 9-11, the OSCE/ODIHR resolution on Religious freedom and Security, and the EU’ Guidelines from 2013 on Religious Freedom. At the 70th Anniversary of the Universal Declaration of Human Rights every country and people can honor by its legislation and practices the milestone document in the history of human rights, stressing art 1 that underlines: “All human beings are born free and equal in dignity and rights…”. I invite the Bulgarian Parliament, the Commission on Religions and Human Rights, the Government of Bulgaria and other international and regional actors to update and monitor the ‘Religious Confessions Law’ to be based on “dignity and rights” of every human being; this is the best ‘tool’ that contributes to peace, security and a better understanding in every society, including Bulgaria. We express our hope and we wait with attention that this concerned Law can become a good and balanced Law, not affecting dignity of any human being and freedoms of religious minority from your nice country”. Some weeks ago was communicated that the vote for the Law will be postponed for 2019; but suddenly, a new information came that the law will be voted on 21 of December. Let us continue to work and to pray too for Bulgarian on Religious Freedom Law, and waiting it finally could be a balanced one, not affecting any person and specially the religious minorities. On the vote of Bulgarian Parliament on this law and feedback of collaborators, let us look next EUDNews. Roll up of the event. Detail of the Hall in Geneva. 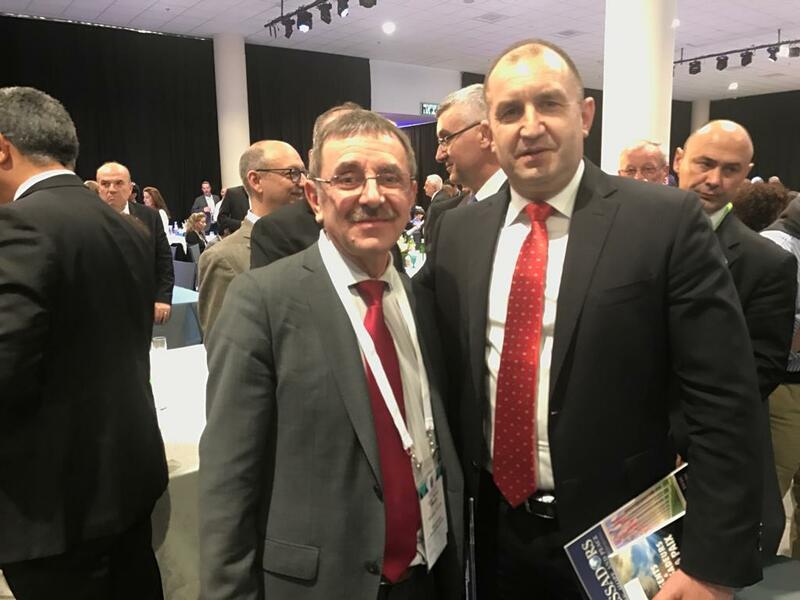 Liviu Olteanu with the President of Bulgaria.